One of the most impressive features on the new Samsung Galaxy S5 is it’s camera sensor. The new flagship has a 16 MP sensor , one of the largest pixel densities found on a phone camera. 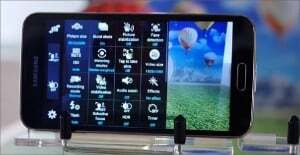 For the improved image quality, Samsung used it’s lately technology called ISOCELL. Well this was the hardware part, now let’s talk about the software features of the new S5. 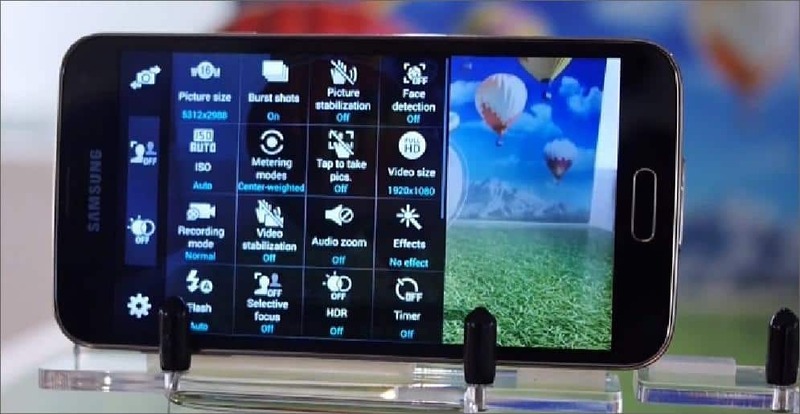 The first thing we see is that Samsung changed the design of the buttons. As you can see in the picture, the redesigned icons are similar to the new interface from TouchWiz. Despite the device has a lot of features, the camera is very simple to use. The new Galaxy S5 has the same features to the older versions of the Galaxy line: Panorama, Beauty Face or Dual-Camera picture mode. But in addition there are some settings, settings that you would expect on a flagship model like: face detection, burst shot or image stabilization, even if it’s not optical. As you can see in the picture above, there a numerous photo or video shooting modes, some of which you would expect just on DSLR cameras. Two of them are something special: Selective Focus and HDR options. The first one lets you make photos with a cool depth of field effect, after a short period of processing. Once you make a photo, you can go back to the picture and select different focus levels. The HDR option brings clarity in photos that are taken in low light. So what you think about this new features? Do you like S5’s camera? We surely do !